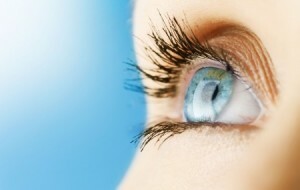 In order to maintain healthy eyes you must have routine eye exams. Regular check-ups will detect issues that could later become serious and vision-threatening if not diagnosed and treated. Having regular eye exams is a critical component in detecting eye diseases or problems in their early stages when they are often still treatable. With regular eye exams, Dr. Sturridge can sometimes detect a problem before any noticeable symptoms begin to occur. Young, healthy people without a personal or family history of eye problems should schedule routine eye exams every two or three years. As we age, our risk for many common eye and medical diseases increases; therefore, having an annual eye exam is very important for seniors. For people who already wear glasses and contacts a yearly exam is important. People with diabetes or a family history of eye disease should have their eyes examined at least once a year. Diabetes in particular can lead to very serious eye complications. If you experience any changes in your vision between regularly scheduled visits, you should schedule an appointment at Alabama Eye Physicians & Surgeons as soon as possible. Early detection and treatment of problems is key to preventing loss of vision.